Natural Linen Material: Light, Soft and Comfortable, Cool and Breathable, Healthy and Anti-bacterial. 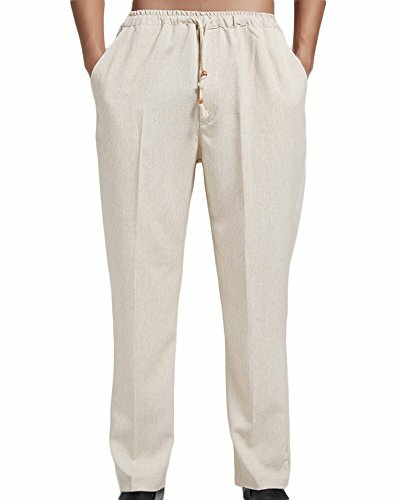 Straight-leg linen pants featuring drawstring waist, two side slant pockets. Suitable for men, youth, workers,boys for school. Spring/Summer/Autumn Casual Pants,Vacation,Holiday,Wedding,Beach,Jogger Trousers. Also a great gift for family and friends. If you have any questions about this product by ONCEFIRST, contact us by completing and submitting the form below. If you are looking for a specif part number, please include it with your message.